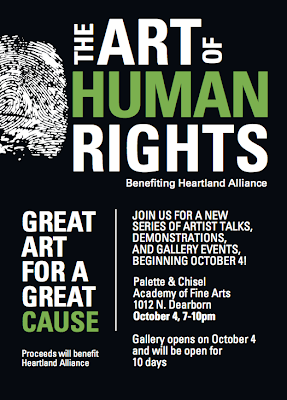 Heartland Alliance for Human Needs & Human Rights will present “The Art of Human Rights,” an invitational exhibition. Paintings, drawings, photography and sculpture created by fourteen hand-selected, established fine artists. Ted Preuss will demonstrate how he creates his marvelous tintypes using a 19th century process. Wet-plate collodion is a captivating process with a mysterious allure. The chemicals seem to have interpretation all its own. Sunday, October 6th from 11am-3pm at Palette & Chisel. Sunday, October 13th from 11am-3pm at Palette & Chisel. 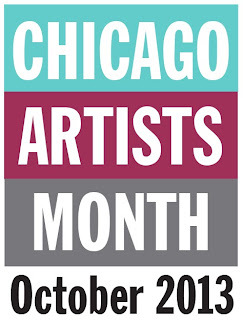 The Art of Human Rights is an official event of Chicago Artists Month!